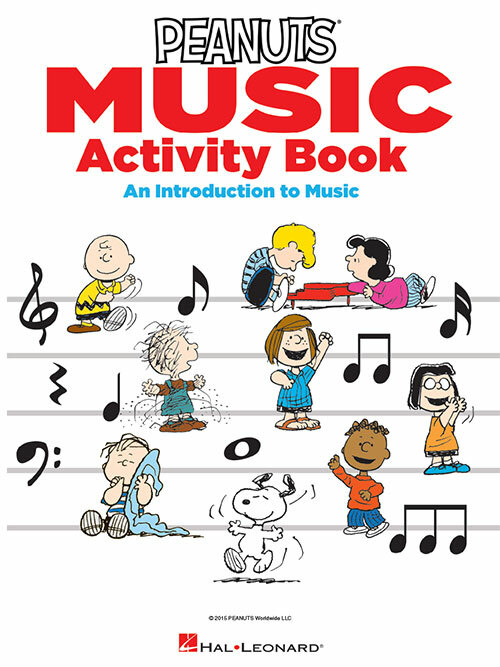 The Peanuts Music Activity Book is a fun introduction to music through songs, games, puzzles and other music activities, including dozens of kids' favorites songs and Vince Guaraldi tunes. This book can be used by beginning pianists, keyboard players, guitarists, vocalists and other C-instrument players. It's perfect for learning music at home, daycare, preschool, and with family and friends. Songs include: Baseball Theme • Bingo • Chopsticks • Christmas Time Is Here • Für Elise • Happy Birthday to You • He's Your Dog, Charlie Brown • Heart and Soul • Linus and Lucy • Ode to Joy • Red Baron • Schroeder • Skating • Take Me Out to the Ball Game • This Land Is Your Land • Twinkle, Twinkle Little Star • and more.